Black Dog & Leventhal, 9781579126995, 96pp. 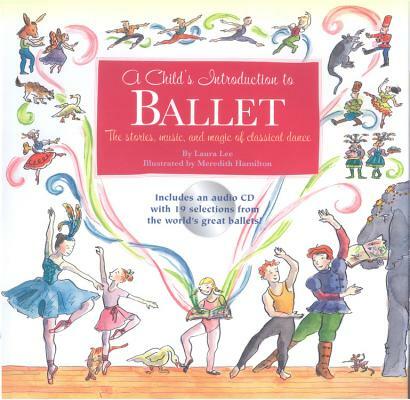 From Swan Lake and The Nutcracker to Peter and the Wolf and Fancy Free, the twenty-five of the world's best-loved ballets are shared, accompanied by corresponding tracks on an enclosed CD. These stories bring ballet to life, inspiring readers to dance along to the music that has made them enduring classics. Woven into these tales is a captivating, illustrated history of ballet, filled with information and profiles of the world's great dancers, choreographers, and composers. There are even instructions on ballet positions and the key moves that every dancer needs to know. Meredith Hamilton graduated from Brown University and has an MFA from the School of Visual Arts. Formerly an art director at Newsweek and Time, she illustrated several bestselling books in the A Child's Introduction series including A Child's Introduction to the Night Sky, among other books. Her work can be found in magazines and animations as well. She lives in Brooklyn, New York, with her husband and three children. Laura Lee has produced national tours of the Russian Classical Ballet. She is the author of The Encyclopedia of Aggravation.